PennsylvAsia: New sushi, dumpling, and bao spot coming to East Liberty. New sushi, dumpling, and bao spot coming to East Liberty. 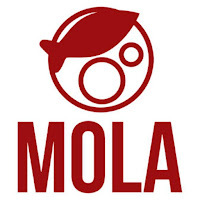 The Pittsburgh Post-Gazette shares information on Mola, coming soon to East Liberty. At the new East Liberty restaurant, look for a menu of dumplings, bao and sushi that’s less about crazy rolls and sauces and more about simple fish and rice. Fish will be shipped in from Fulton St. Fish Market in Bronx, N.Y., among other places; and Mr. Tang is planning on using naturally brewed vinegar and nori purchased from an actual nori dealer, [owner Alex Tang] says.